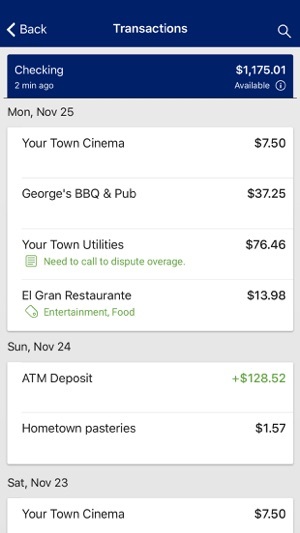 Holcomb Bank Mobile is a free mobile decision-support tool that gives you the ability to view all of your financial accounts, including third-party credit cards and accounts from external institutions, into a single, up-to-the-minute view so you can stay organized and make smarter financial decisions. It is fast, secure and makes life easier by empowering you with all the tools you need to manage your personal finances on the go. 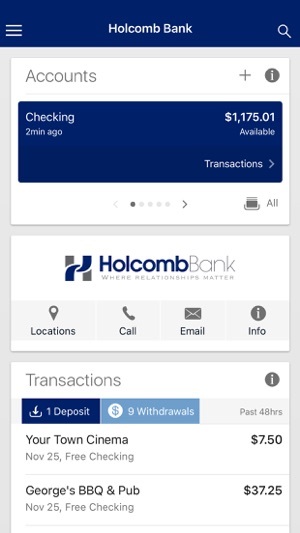 Contact: Locate ATMs or branches and contact Holcomb Bank customer service directly from the app. 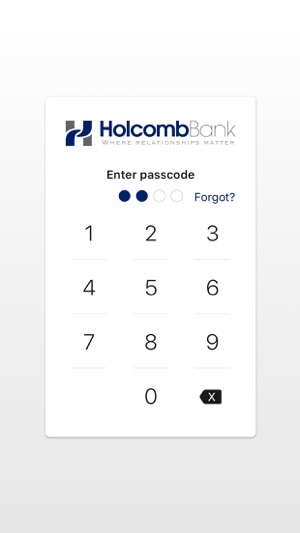 To use Holcomb Bank Mobile, you must be enrolled as a Holcomb Bank Internet Banking user. If you currently use our Internet Banking, simply download the app, launch it, and login with the same Internet Banking username and password. 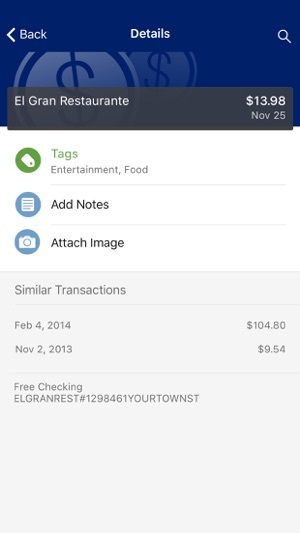 After successfully login to the app, your accounts and transactions will begin updating. This app is easy to load and even easier to use. I like that I can see transactions within a few minutes of making them. I can watch my account for fraudulent activity that way. Moving money from one account to another is quick and simple and being able to make a loan payment any time of the day is comforting. Way to go, you did a great job! I can do everything I need to do with this app. From bill pay to account transfers it's extremely user friendly. I love being able to manage all of my accounts so easily! I think the old version was much more better than this one. Not as many options. Just not very happy with it at all. Please go back to the previous one!!!!! !